Lounging is one of my favorite past times. There’s just nothing like snuggling up in a cozy bed and watching the world go by. Who can blame me if I snooze a bit? It’s just that my bed is so comfy. My Mom and Dad did a great job picking mine. 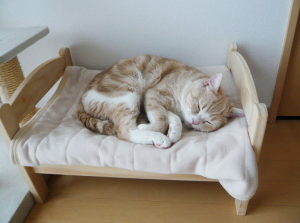 So, I thought I’d give you plenty to choose from to help you pick the right bed for your cat. 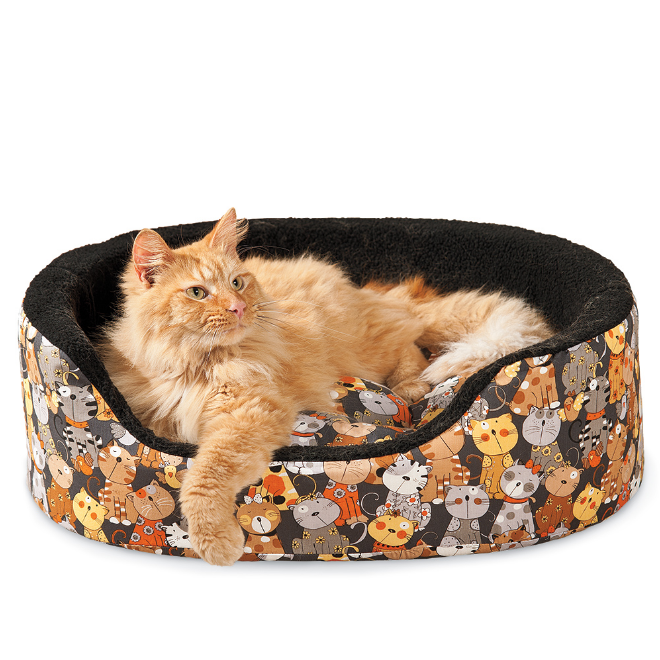 There are lots of unique cat beds, pillows, mats and crinkle sacks that would be the purr-fect place to sleep and play. Some of them are heated too, for those cats that live up North. 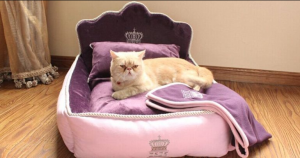 And, you just have to see our luxury line of designer cat beds–they’re the cat’s meow! Cancer-Spotting Dog Saves Owner’s Life! It’s amazing…and a little hard to believe…that with all the modern technology you humans have that a little old dog got the jump on you! But, for his owner’s sake, we’re all glad he did. Just think, a super-smart dog with a super-sensitive nose was able to detect CANCER in his owner! That’s right, cancer. 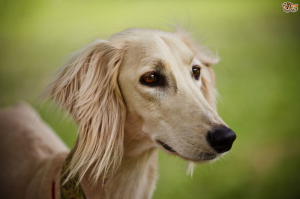 Without the aid of x-rays, probes, biopsies or anything else, Paula-Bockman-Chato, of Kellyville, Australia was first tipped off by her pet saluki Kaspar. First assuming that the dog was being overly affectionate–constantly sniffing and nuzzling under her arm–she really didn’t think anything of it. “He kept putting his nose in my armpit and sometimes he’d put his paw in there as well. I was totally unaware there was a problem until he kept focusing on that spot,” says Bockman-Chato. However, a medical check revealed early signs of lymph node cancer in the exact same spot were Kaspar had been incessantly sniffing. Wow! A dog with a nose for cancer! Yet another reason why us dogs rock! I don’t know about you, but Kaspar definitely deserves a top-dog award—or at least some new dog toys— for this one. If he can sniff out potentially fatal diseases, who knows what else this wonder dog can do. Hey, Kaspar…Just let me know when you’re ready to open up your practice–I’m there! 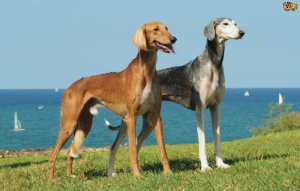 Until then, here’s a few pictures of the majestic Saluki dog, which dates back the Pharoah and is one of the oldest pure breed dogs in the world. 1. Kneading – They knead their mom’s body when they are kittens. If they knead when they lie close to you, it means they have accepted that you are a parent. Cats are not like dogs in that they don’t beg for attention. 2. Purr – When he snuggles close to you and you hear a motor like sound coming from your cat, then you know he’s content and happy. 3. Lick their Bodies after every meal – When it’s bath time for them, they clean their bodies by licking. Cat grooming is common, but even if they do clean themselves, we give our cats a bath. One of our female calicos, Dumpling, even plays in the tub. 4. 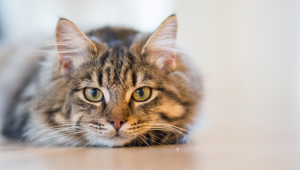 Blink their eyes while looking at you – This is called a cat’s kiss. What you do is blink back. 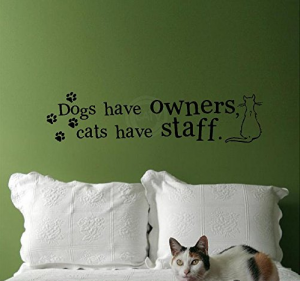 Its one way they show their affection for you and for cat lovers. 5. They are digging – When they smell something they don’t like, they dig invisible litter. 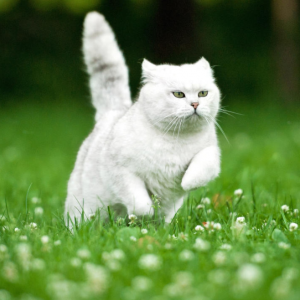 When cats have to go potty, they usually make sure they hide it under the cat litter ,so when they’re not in the litter pan and smell something they don’t like, they do the digging motion. 6. Smell something, then opens its mouth – This means there is a trace of cat pee somewhere near. 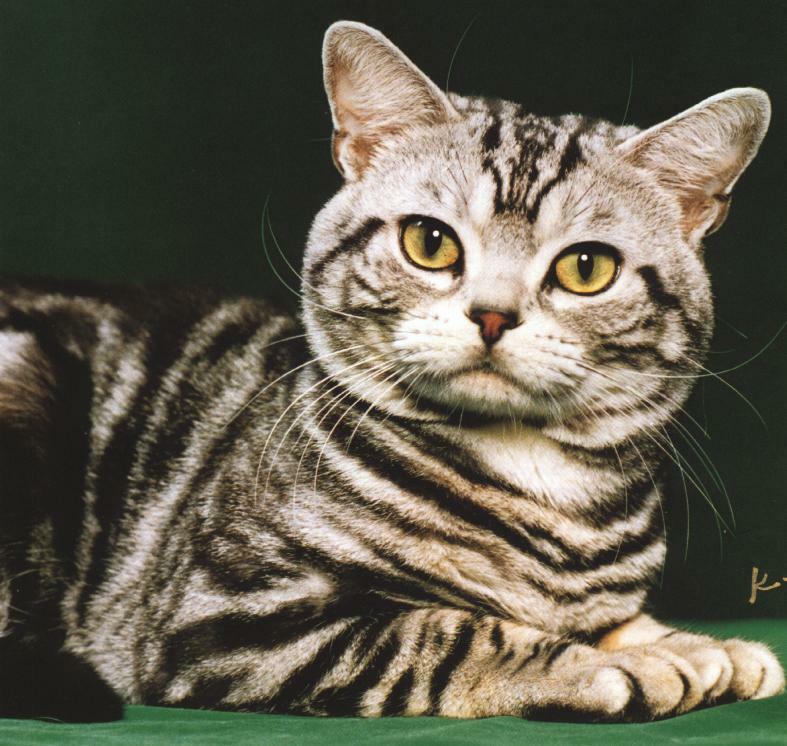 Besides smelling with their nose, cats can smell with an additional organ called the Jacobson’s organ, located in the upper surface of the mouth. 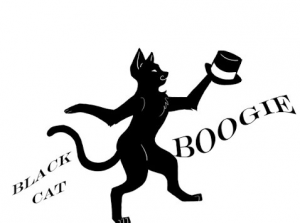 Do You Do the Black Cat Boogie? Ooooh, October! That means it’s almost Halloween! 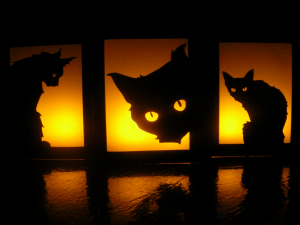 For me, being a cat and all, Halloween brings up the subject of black cats. Some of my very dearest friends are black cats, and it really bothers me that people still believe a centuries-old, ignorant superstition about black cats being bad luck. Did you know that shelters are full of black cats because many people won’t adopt them, probably because of a stupid superstition? cringe or back away or get the heebie jeebies when a black cat crosses your path? Shame on you! Do you not get that all these superstitions came into being at a time when people were uneducated and made up myths, legends and old wives’ tales to control the behavior of others. Black cats are just as beautful, loving and, of course, self-absorbed as any other cat. In fact, in Britain and Japan, having a black cat cross your path is considered good luck. The truth? Black cats don’t do anything except bring warmth and love into your life. You make your own luck, good or bad. Let’s make October 31st “Adopt a Black Cat Day!” I’m asking everyone to go to your local shelter on Saturday, October 31st and adopt a black cat or two. Ask everyone you know to do the same. 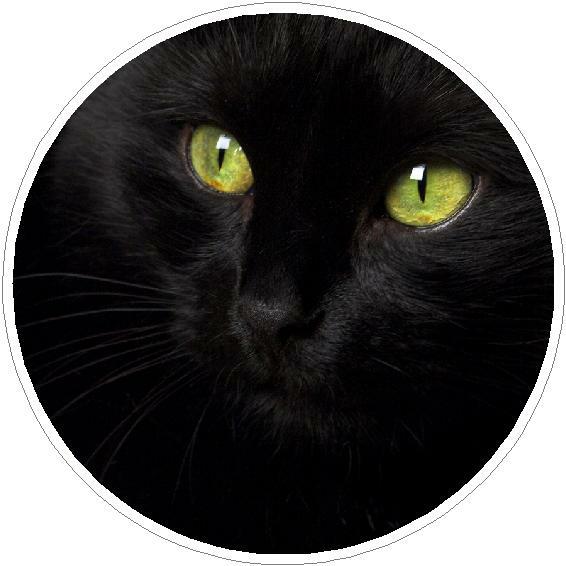 Blog about “Adopt a Black Cat Day!” Twitter it! Share it on Facebook. We shall celebrate “Adopt a Black Cat Day!” every year from now on! And thank you for adopting a black cat! I promise you it’s good luck–for you and the cat! No, it’s not about me, but it’s still cute, right? 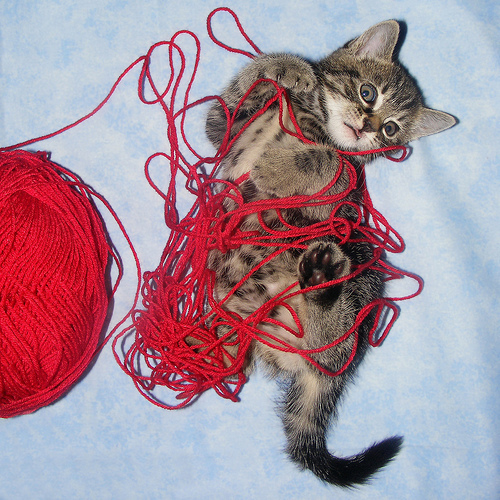 As a kitten, I can tell you playing with yarn is a ball, but sometimes cats arent’ smart enough to resist eating the yarn, or the string or the thread with the needle. 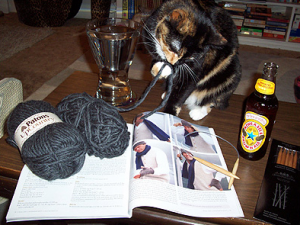 Swallowing a lot of wool, string or thread can be very dangerous for us. It can cause a blockage of our intestinal tract, and if there’s a needle in there too, it can perforate and require surgery. 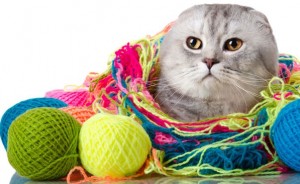 So if you see yarn, string or thread hanging out of your cat’s mouth, check it out immediately. Step 2a: Pull on the material lightly. If you feel resistance, stop. Do not continue to pull the material. Step 2b: Cut off the material as short as possible and proceed to Step 3. Step 3: Give the cat one tablespoon of white petroleum jelly. Using a small amount each time, rub the jelly on the cat’s mouth and paws. The cat will lick it off. Do not give the cat mineral oil. Step 4: If vomiting occurs or the cat stops eating, transport to the veterinarian immediately. 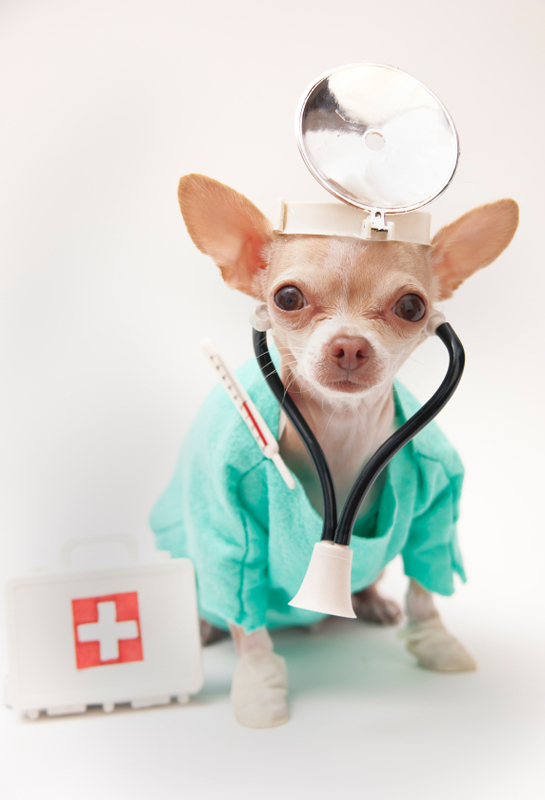 And speaking of pet emergencies, an online service called Pet Summary allows you to organize, access, and share your pet’s important information with anyone, anywhere, at any time for a small, one-time fee. Whether preparing a pet sitter, getting ready for a trip, or rushing to the emergency room, PetSummary.com makes it easy to have the right information at your fingertips. If you need to pull up your pet’s authentic vaccine record, it’s available from any online connection. Find them online at http://PetSummary.com. That’s it for now. I’m going to see if Max wants to dig in the dirt around some potted plants. Always great fun! 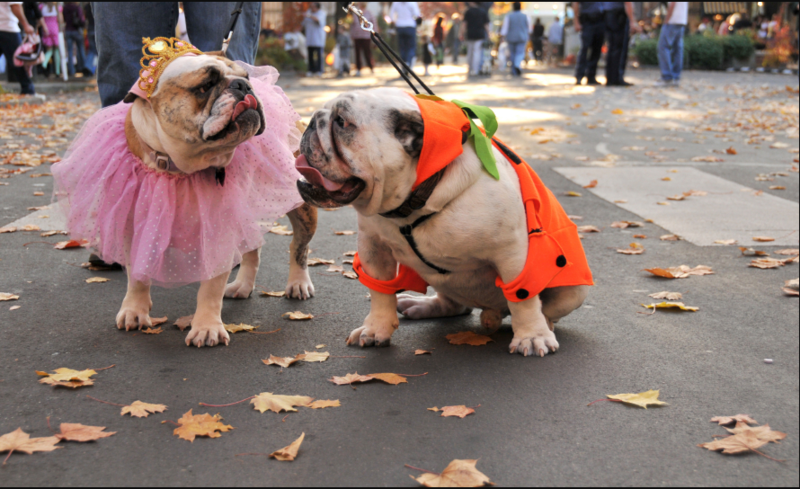 10 Ways to Celebrate National Spoil Your Dog Day! WhooHoo! It’s August 10–National Spoil Your Dog Day! I think every day should be National Spoil Your Dog Day, and with my Mom and Dad, it actually is–so a great, big, happy howl to them! Mittens is a bit peeved that there’s no National Spoil Your Cat Day.Considering the normal nature of cats, I think that would be redundant. But, anyway, here’s a list of ten sure-fire ways to spoil your pooch today! Why not get as many of them in as you can? 1. If it’s a hot day, let’s go swimming! 2. Go for a nice, long walk in a park. 3. Make something special for your best friend’s dinner, like hamburgers! 4. Roll down the window and take a drive. 5. Surprise your buddy with gourmet treats. 6. Visit a nearby dog park. 7. Buy a snazzy new collar and leash. 8. 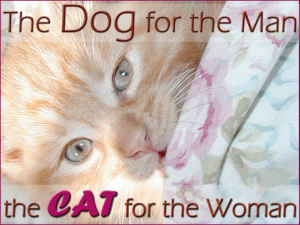 Provide a playmate–adopt another dog, if you haven’t already! 9. Play “fetch the stick” by a lake. 10. Pet me! Kiss me! Love me! Hug me–as often as possible! If any of you dog lovers out there have other ideas on how to spoil your dog, I’d love to hear about them! So would everyone else out there who’s looking for unique, fun ways to show unending love for dogs! Yippee! 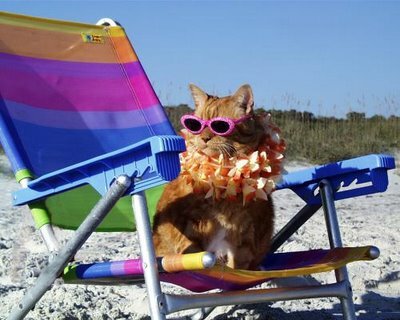 We celebrated the first day of summer on Monday, and you know what that means? It’s time to hit the road and travel. My Mom and Dad love to hike and do anything outdoors, so it’s a cinch for me and Mittens to tag along. But a lot of pets don’t have it that easy. Their vacation is spent in a boarding facility. Now, don’t get me wrong, boarding is necessary because there are lots of places that we can’t go and that’s the best option. But if your family is planning a trip across town or across the country, you’ll be glad to know that there are plenty of hotels and motels that will make you feel at home. Whether going away for a day trip or a week-long getaway, we’ve always found it helpful to plan our route using a couple of websites that identify pet-friendly hotels along the way. Saves a bunch of time and research because all the information is right there. Many of them even list attractions and events we might want to check out while we’re there. 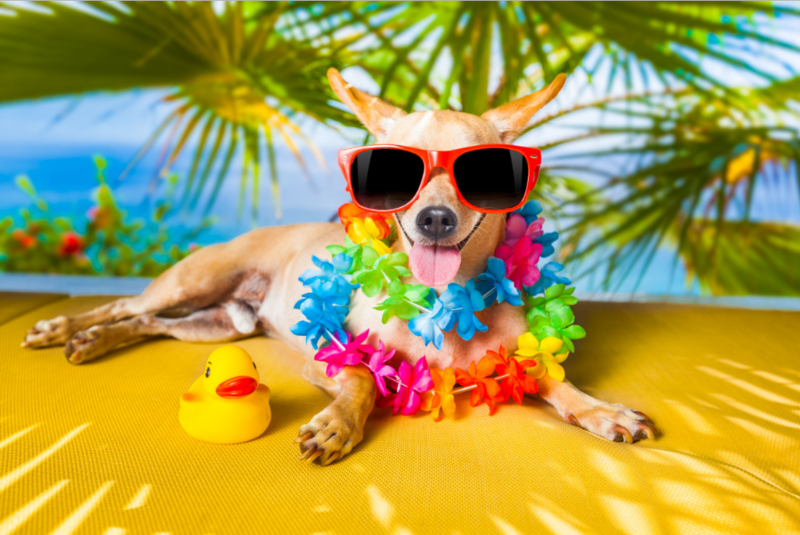 You’d be surprised at the number of major chains, bed and breakfast spots and cottage rentals there are out there that welcome domestic animals–even the big dogs can find their place in the sun! With all of this information right at your fingertips, now, when your family plans a vacation…the WHOLE family can go.